Shape: Exclusive electric guitar model. 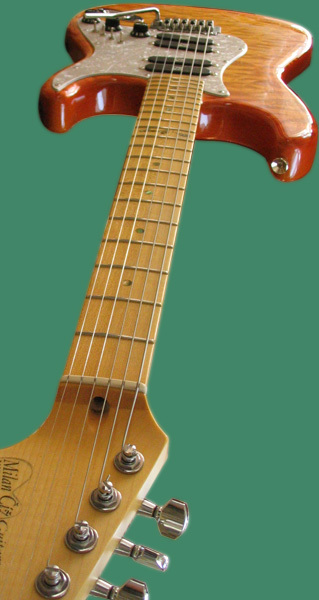 Guitar was designed in the co - operation with the studio expert George Simek from Munich. Body: A guitar is build from top - level quilted maple in combination with resonance excellent alder. 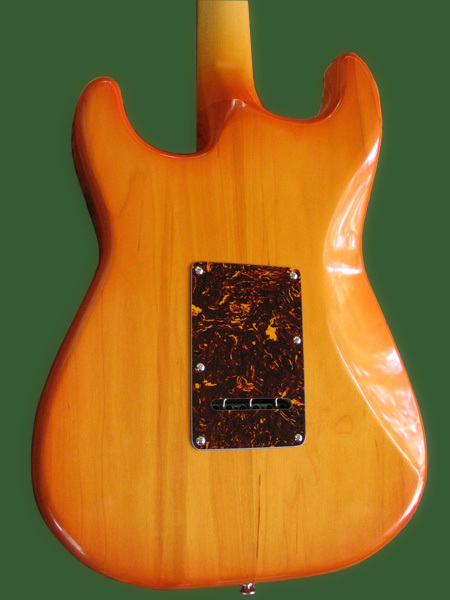 Neck: Neck is glue - in cross saw flame maple with soft "V" profile and 12 " radius. Other: Tremolo WilkinsonR guarantee trouble free work with tremolo arm. 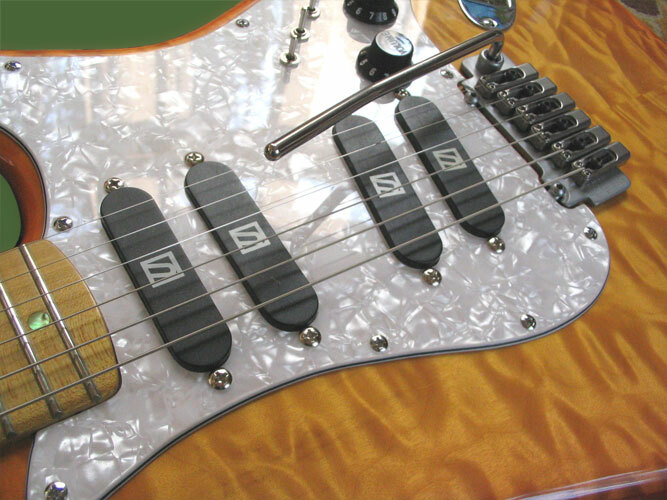 Sound: Pickups are set of four top - level Ultrasonic. Theirs combinations is possible to reach all known and inaccessible acoustic variation. 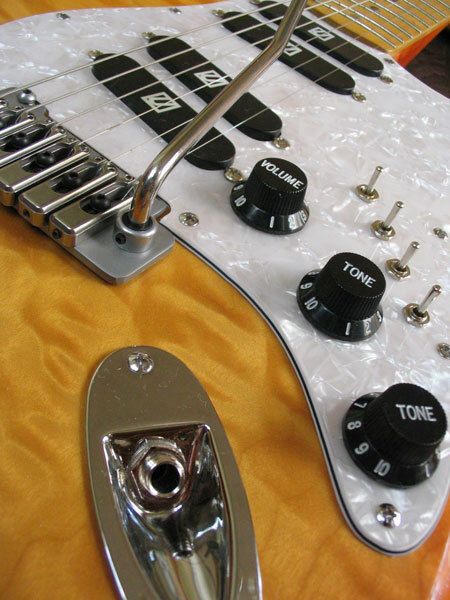 It is a guitar model for those, who want receive from their guitar maximum. Whether for sound aspect (instrument) or electric (pickups reading).